Doing things a little different today, as I recorded a 32 minute “Ask Me Anything” on my Periscope last night. So, the format is certainly a little bit different than you’re used to, no idea if I will continue it, or not. But, it’s fun to change things up once in a while. 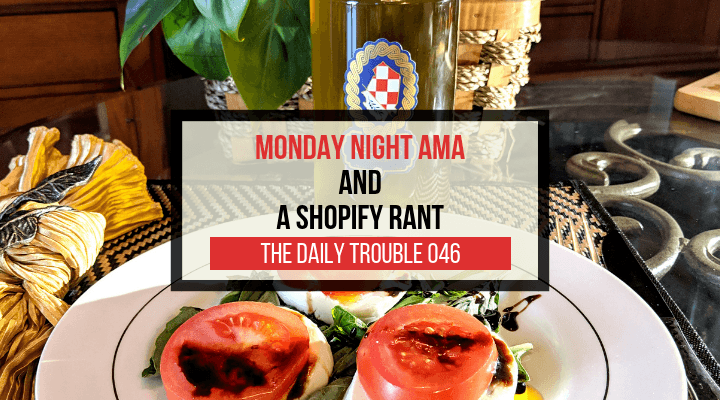 So, tonight, I shared some secrets of the Selo Oils marketing plan, my business partner’s brothers company who are trying to create a whole new “invention”, and also ranted about Shopify and the many issues we’ve faced with them.